Amazon Echo is a category of devices designed around your voice—it is hands-free and always on. 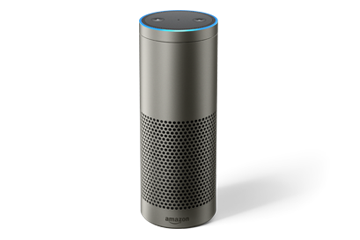 Echo devices enable customers to interact with Alexa, Amazon’s voice service, and ask for the news, music, weather, and more using voice. 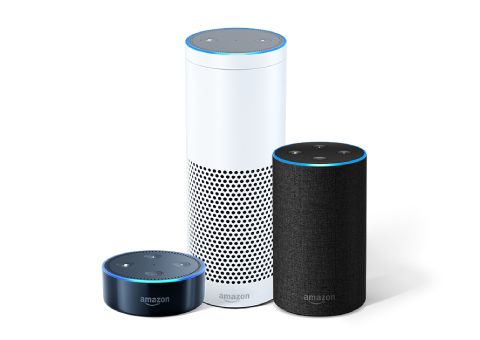 Build engaging voice experiences using the Alexa Skills Kit and reach customers through Alexa-enabled devices including our family of Echo devices. The all-new Amazon Echo includes everything you love about the Echo—plus a more powerful sound. 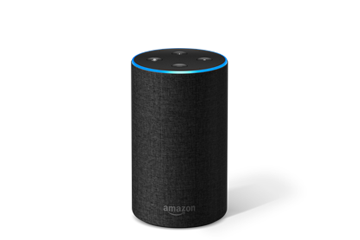 With an all-new, smaller design, Echo fits easily into any room in the home while still delivering best-in-class far-field technology, room-filling sound, and all the features customers love about Alexa at a lower price. Echo Plus has a built-in hub that seamlessly connects and controls compatible smart devices including light bulbs, door locks, switches, and plugs. Use Echo Plus to switch on the lamp across the room, turn on the fan or heater, dim the lights from the couch, or lock the front door from their bedroom. Setting up new smart home devices has never been easier. Customers can simply say, “Alexa, find my devices,” and Alexa can control compatible smart home devices immediately. 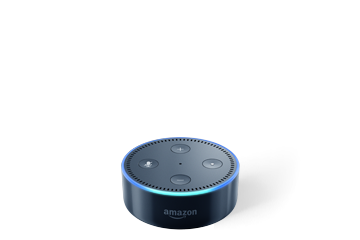 Echo Dot is a hands-free, voice-controlled device that uses the same far-field voice recognition as Amazon Echo. It can also connect to speakers or headphones over Bluetooth or through a 3.5 mm audio cable to deliver stereo sound to the customer's speakers of choice.